We are starting a new series on a particular figure out of Japanese cinema. I don’t know of many so I pick the ones I know and years ago I was recommended checking out the work of Sabu. I responded well, put down the fandom but now that there is a podcast series on Japanese cinema I’m involved in, it’s a good op to pick up where I left off/revisit what I liked in the first place. 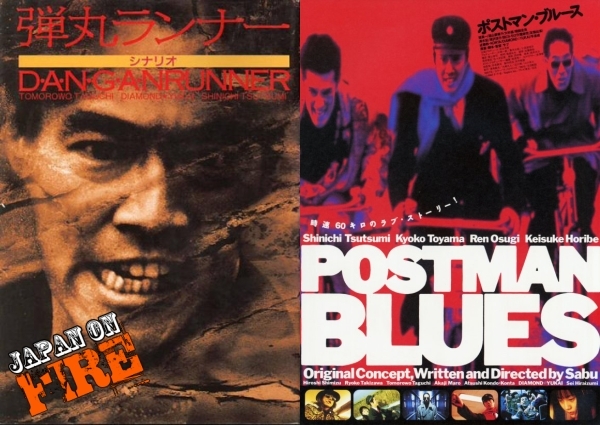 That is to setup that for a couple of episodes we’ll be talking of director Sabu and for this episode his first two movies: Dangan Runner from 1996 and Postman Blues from 1997. With me Kenny B and VCinema‘s Coffin Jon.